One regret I have from my trip to Amsterdam is that I did not eat more stroopwafel! 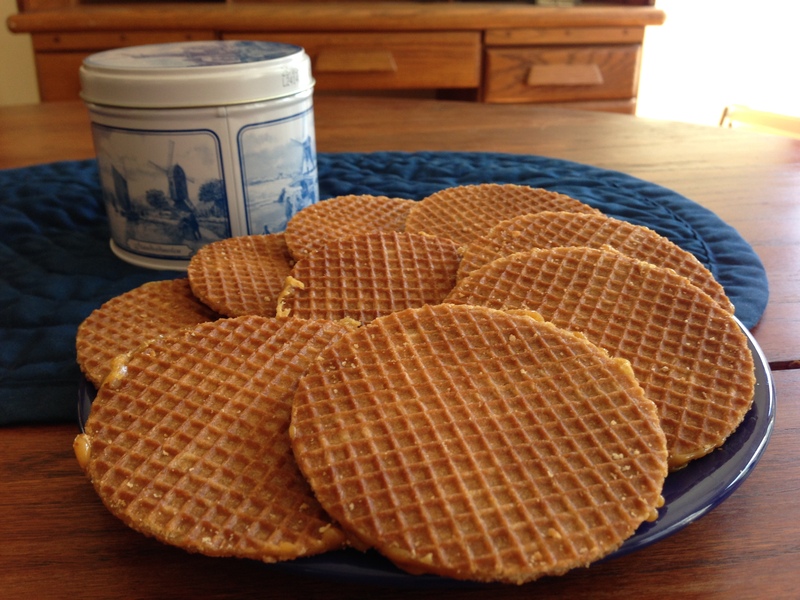 Stroopwafel is one of my favorite cookies, and a Dutch specialty. It consists of two thin chewy sweet waffle cookies sandwiched around a syrup filling (sometimes caramel and sometimes honey). Fortunately, the KLM stewardess on my return flight disclosed her favorite brand to me, so I can check it out the next time I’m in Amsterdam. She also told me a neat trick. 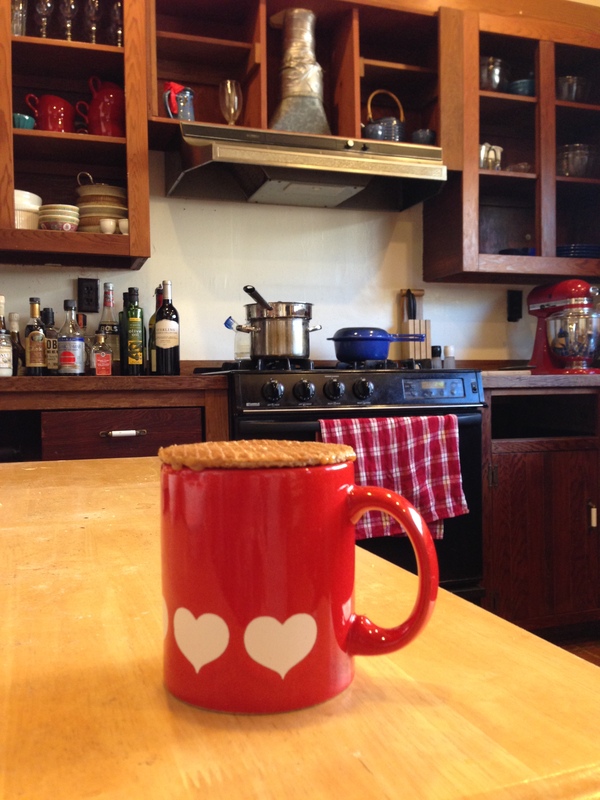 Hold your stroopwafel on top of a mug of hot cocoa or tea so that it melts, ever so slightly, before you take your first bite. Doesn’t that sound delicious? How about you? Any favorite cookie tips? Or favorite stroopwafel?